Your mission should you choose to accept it is to take the next 6 weeks to experience transforming your life. Right now, you may be exhausted, overwhelmed and anxious… feeling lost and that life is passing you by. What you can look forward to having balanced body systems and functions, mental clarity and increased vitality and greater connection to yourself so you can be empowered to follow your life’s purpose. Do you need the confidence to embrace life and its challenges while still being the authentic you that you were meant to be? Does your incessant mind chatter keep you distracted and disconnected from your loved ones? You can stop it all and be empowered to follow your own destiny! Are you overwhelmed with stress – can’t breathe, can’t think straight? Do you feel lost and shut out of your life as it passes you by? Are you always tired and sluggish, overwhelmed and anxious, restless, angry, feeling trapped and thinking there’s no way out of the grind of your life? Maria is here to tell you there is a way out! Yes, you can be happy, healthy and stress-free today! Do you want to be happy, healthy and stress-free? Say goodbye to stress and being constantly exhausted, overwhelmed and anxious. Achieve a new level of total health and well-being balanced body systems and functions, mental clarity and increased connection. Be empowered to discover and fulfill your life’s purpose. What is in the class? Get off the roller coaster of overwhelm! Leave burnout, exhaustion and anxiety in your dust. Let Maria show you how to get started right here, right now! Take control of your life – it is in you to do! NOW! 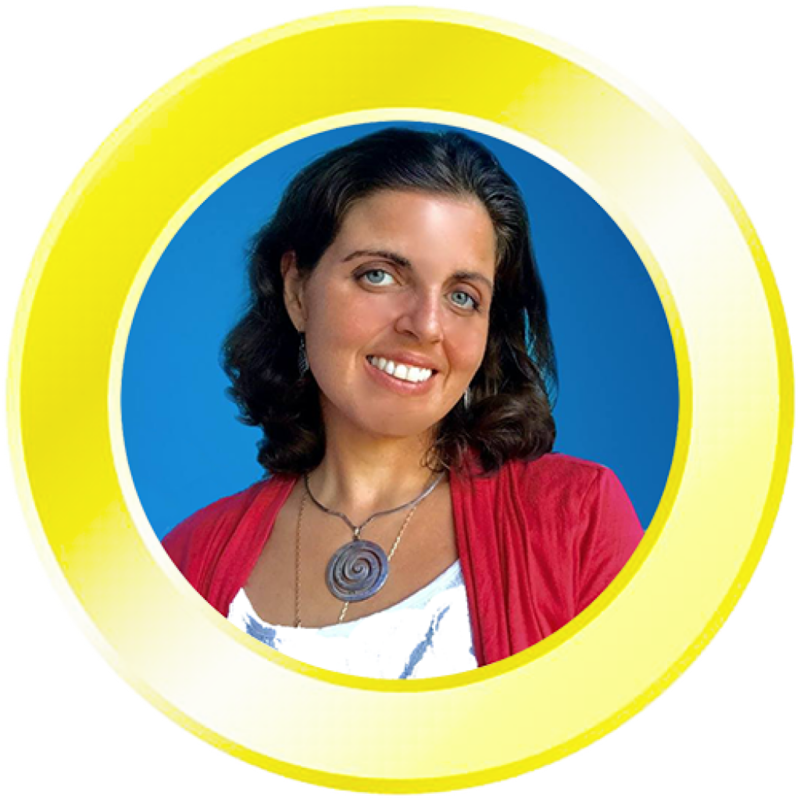 Maria will show you how to take the no-nonsense transformational steps will create the change you intend! Make room in your life to stop dying inside and start expanding your possibilities. Clear out the incessant chatter of your mind. Start believing in yourself and feel comfortable in your own skin!! Maria will guide you on how to embrace the clarity to pursue your inspired path so you can actualize your freedom and grow your authenticity! Rediscover and remember who you are. You deserve to be loved, unconditionally and absolutely. Let Maria open the door for you to make real life, tangible progress towards loving yourself. Power up your optimum health. Expect miracles and be open to the unexpected – it’s life’s delight! Maria will show you the art of creating and receiving a miraculous life. Implement the principles of this course into your life! Maria will guide you to build a stress free foundation for your life so you can claim your freedom. What is the Miracle Manifesting Method? Maria teach the Miracle Manifesting Method where she guides you on how to create a miraculous life of wellness, freedom, independence, and abundance, create miracles in your life so you can effortlessly attain your desires and perform in all realities at the highest levels. The Miracle Manifesting Method is a way that Maria has created in order to get miraculous outcomes in life in a repeatable and reliable way. In Maria’s practice it is not a question of “if” a miracle will occur, it is a question of “how fast”. Maria takes a hands on approach to teaching. She deeply cares about every participant’s transformation while creating deep energetic vortices for miraculous energies to flow through. Maria participates in all discussions and stays by your side on this journey of Creating a Miraculous Life. Why are we combining the Miracle Manifesting Method with guided energetic meditations? The Miracle Manifesting Method (MMM) is a powerful tool for navigating through life. It is based on actions for the first two steps and on receiving for the second two steps. Energy is though the basis of all these teachings and Maria has found that live guided meditations accelerate the healing journey. Energy is not restricted to time and space. Maria has been working 80% online for years and clients have experienced massive transformations in their lives. There is a great benefit to a longer container for energy work that she will be holding for you for the duration of the class. This will allow you to better integrate your shifts into your daily life. Moreover Maria has discovered the power of groups and how coming together as a group with a common intention intensifies the energy. Come and experience the vortex of transformation that she is opening for you. All you have to do is say YES!!! The classes are 90 minutes long. Maria asks you to log in a few minutes early to the video calls as we will start each session promptly at their start time. You can access the calls via your computer, your smartphone or simply by dialing in the local numbers in your country given to you upon registration. Are there exercises or other work to do in addition to the class sessions? Attending the classes is enough. Most of the “work” Maria will do with you during classes. She will suggest exercises to help you accelerate things into your life, if you want to deepen the transformation she will suggest some “homeplay” between sessions. 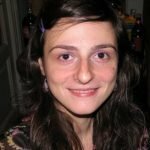 What is included with SF classes? • Access to a Facebook page of your fellow participants where you can get your questions answered from me as well as connect, share and support each other. What are the SF classes like? The classes will include teachings that are focused on exposing you to techniques and ideas of Miracles Manifesting Method with live guided meditations. You will also have the opportunity to practice exercises designed specifically for you to experience energy. Maria will choose participants in the class to model the exercises with and you will also have a chance to practice yourself with your accountability partner. The classes will close with a guided meditation practice by Maria and Christopher that will cement the shifts into your energetic body. 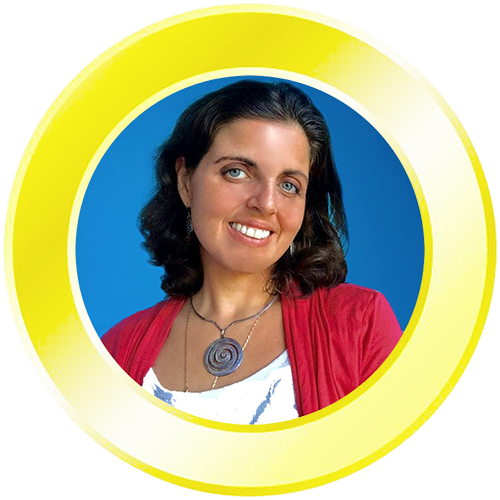 Maria Kellis is a highly gifted energy worker, coach, teacher, speaker, and entrepreneur whose own inspirational story and miraculous healing set her on a transformative journey to her present life’s work. Even though she comes from a science and engineering background (she holds 3 MIT degrees), she now works full time to integrate the world of the mind with the world of the heart and spirit. She is a global citizen who travels worldwide and currently calls 5 different countries home. 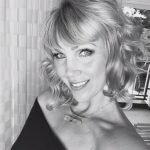 Her efforts as both an energy worker and a coach help clients achieve full healing for her clients and even those around them. 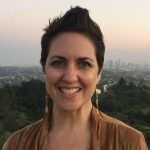 Through techniques developed in her Miracle Manifesting approach to wellness, she supports clients to break through obstacles, clear out negativity, and dig out the root causes of problems they face. Her work promotes greater mental clarity, precise thinking, the ability to make better choices and an improved capacity to use time and energy efficiently in order to laser focus on goal achievement, while feeling peace and a sense of comfort. In working with Maria, clients emerge highly motivated and unleash their capability to live with joy, emotional stability, inner peace, wisdom and beauty. They experience an empowered, grace-filled work-life balance that inspires them to live life to the fullest. It is Maria’s distinct privilege to be the catalyst for her clients to create a miraculous life, so they can feel in charge of their lives . They create a new version of themselves – one that they love! Maria’s goal is for you to enjoy your freedom, be connected and focus on what truly matters. You will regain balance, be empowered and “present” in your life – experiencing joy and emotional stability by embracing your true self. Maria will help you gain inner peace, inner wisdom and inner beauty by finding solutions to your problems and becoming productive. She will show you how you can start saying hello to mental well being, low blood pressure, release of endorphins, making better choices, thinking clearly, eating better, taking care of yourself, and sleeping better at night. She will help you have more clarity and show you how to use your time more efficiently. Experience deeper breathing and regain balance as you become calm, successful and optimistic. You are here to fulfill a significant and unique purpose. The incessant demands of everyday life can bury that purpose under an avalanche of exhaustion, overwhelm, and anxiety. It can create body imbalance, mental fog and loss of connection to your rich inner life. When ‘just coping’ is all you have the energy to do, it might feel like life has passed you by and that there is little hope for finding your way back to the freedom, inner peace and unspeakable joy that comes with living the life you were meant to live. Join Maria for her new, 6-week online class, From Stress to Freedom, beginning [TBA] (Los Angeles timezone). This online event combines Maria’s vast experience and knowledge of Breathwork with powerful teachings on the Miracle Manifesting Method into one profound venue that can change your present unsatisfactory life trajectory. She will help you make the transition from stress and burnout to living the way you are intended as you fully embrace your new path with love and heart. Work with real-time practices that combine the Miracle Manifesting Method with Breathwork to open and transform your life, and deliver you from stress so you can experience freedom. Check your time zone here! In the next 6 weeks you will be closely supported by Maria so you can jump start your journey to freedom from stress. Sign up today and witness transformation NOW! Now, a one-hour session with Maria could cost you over $500. But this benefit – packed experience that can drastically redirect your present life path… is yours for $549! PLUS! You will get TWO bonus meditations! Payments are made 100% secure over PayPal. 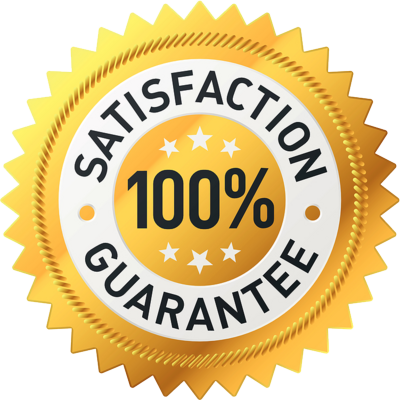 Instructors guarantee class quality, and if you are not satisfied with what you experience after first class, you can request your money back in 100%, with no questions asked!